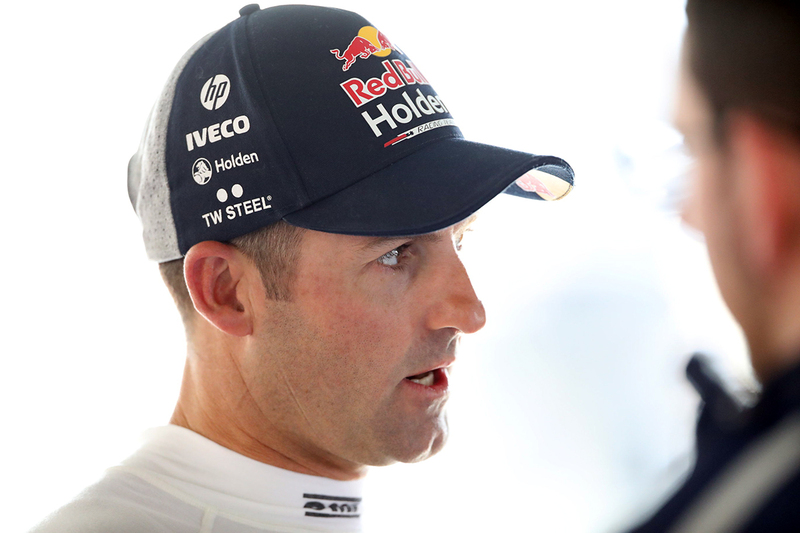 Jamie Whincup has been fined $1,000 and stripped of his Practice 1-topping time for a yellow flag infringement at the Tyrepower Tasmania SuperSprint. The Red Bull Holden Racing Team driver set his fastest time of the opening 30-minute hitout while yellow flags were being waved at Turn 4. Nick Percat had triggered the yellows in the session’s dying stages, beaching his Brad Jones Racing Holden in the gravel trap. Whincup’s penalty includes losing the lap on which the breach occurred, which happened to be the fastest of the session. With that 50.7564s time deleted, Whincup’s best from Practice 1 was a 50.9578s. That drops him to fourth in the order behind Chaz Mostert, Shane van Gisbergen and Scott McLaughlin. “I got slapped on the wrist. 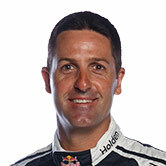 I did my quickest time under yellow,” Whincup said after also topping Practice 2. The loss of the Practice 1 time has no bearing on the remainder of the weekend. Whincup leads the list of 10 drivers to score a free pass to Q2 for Saturday’s knockout ARMOR ALL Qualifying, based solely on the Practice 2 times. “The car is good,” said Whincup, who reset the Symmons Plains Supercars practice/qualifying lap record to 50.5084s in Practice 2. “[Engineer David] Cauchi made a couple of gains then in P2, we’re there or thereabouts. “Here the last couple of years have been really good, with the dual springs you can get the best of everything. Boost Mobile Racing’s James Golding was also fined $1,000 following Practice 1, having overtaken cars while the yellow flag was being waved at Turn 4. 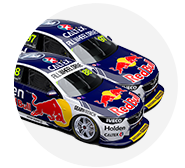 Following a Post-Race investigation by the DRD and after an admission by Jamie Whincup Car #88, the Stewards imposed a Fine of $1,000 and the deletion of the lap time in which the breach occurred (18th Lap with a time of 0:50.7564), for a breach of Article 4.2.1.1 of Schedule B3 (single waved yellow flag, a driver must reduce speed, do not overtake, and be prepared to change direction) failing to reduce speed when a yellow flag was being waved at the flag point for Turn 4. Following a Post-Race investigation by the DRD and after an admission by James Golding Car #34, the Stewards imposed a Fine of $1,000 for a breach of Article 4.2.1.1 of Schedule B3 (single waved yellow flag, a driver must reduce speed, do not overtake, and be prepared to change direction) when Car #34 was observed overtaking other Cars on the circuit when a yellow flag was being waved at the flag point for Turn 4.